Plus tons more on the inside! They say babies are natural swimmers. But even as skilled as children can eventually become in the water when starting their swimming lessons at such an early age, there are still safety hazards. The water is a dangerous place and tragedy can occur at any time if one is ill prepared. Even the best of swimmers don’t mess around in the water. If you’re a parent or adult and want to keep the kids in the family safe, then it’s important that you teach them one of the most important life lessons; be careful of the water. People aren’t fish and we don’t live in the water. 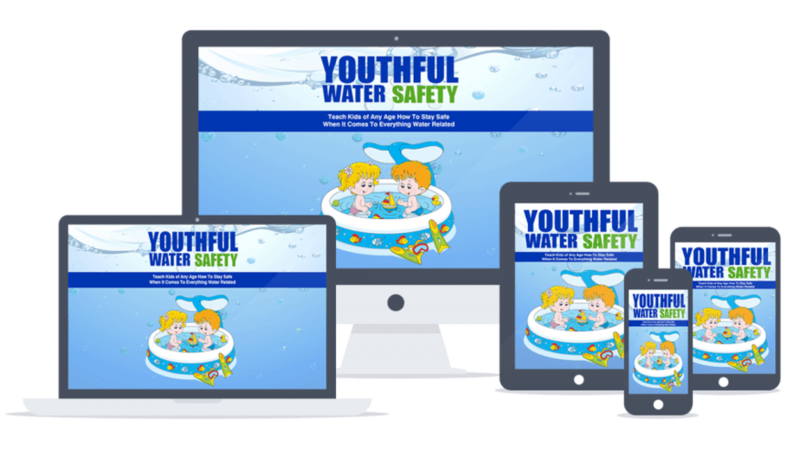 The potential for drowning is a high one and this guide will help you to communicate with and teach the importance of water safety to your kids. We don’t want to leave it until it’s too late. That’s why this guide is essential. It doesn’t teach how to swim like an Olympic pro but it does provide life lessons for developing kids who aren’t entirely aware of the dangers of the water. Don’t go into the water! Well that’s actually true if you’re jumping into the ocean while Jaws is looking for his next meal. But even away from fiction, the water isn’t a place you want to relax in, even briefly, unless you have supervision or lifeguards keeping watch. For the youngsters, the water can be a ton of fun. But it’s not so much fun if something catastrophic happens. That’s something we never want to see happen to anyone we love. That’s why it’s important to communicate the rules of water safety with your kids. It needs to be done as soon as possible. 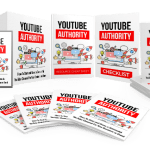 With this pack of videos, kids will be sooner engaged than reading since visual learning is preferred and can communicate the message more efficiently. From an early age, kids can become great swimmers but there are common occurrences where even the most skilled and experienced of swimmers ended up drowning due to fatigue or panic or not being aware of the dangers of their environment. Water safety is one of the most important lessons that needs to be taught to everyone, especially kids. Make this course a pivotal part of your children’s learning and communicate water safety at the earliest. Everyone benefits. You CANNOT put your name or pen name on the product asthe creator. You CANNOT change the title and sub-title of theproduct. You can sell the product (Report) in PDF format. The minimum selling price is $1.00 to $7.00. You are granted the master resell rights, resell rights or to resell with personal use rights. Nothing else. You CANNOT offer private label rights to this product. You are granted only the Master Resell Rights. You cannot add the product into a membership site (free or paid). No exceptions (especially PLR memberships). You can add the product into your product bundle or package and sell for a higher face value. You can offer the Basic Resell Rights to the PDF Report. The minimum selling price is $17.00 – $67.00. You CANNOT sell the those rights for LESS than $17.00. You can produce audio and/or video content from the materials found in this product. 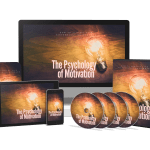 You CAN give the product away for FREE, in exchange for an optin (email address) or lead. You CAN offer the product as a bonus to another product you are selling. Or as a bonus when people purchase through your affiliate link. You CANNOT sell the product on auction sites such as eBay.com. You CANNOT use sell product in a dime sale event, under any circumstances or situations at all. You CANNOT sell this product as a WSO, under any circumstances or situations at all.